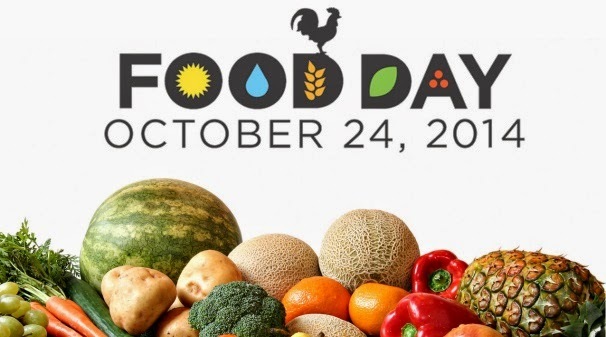 Food Day, held each year on October 24, is dedicated to raising awareness about the impact our diets have on our health, the environment, and the people who produce our food. Want to join in the fun? Here are ten ideas for making the most of this national celebration of healthy, affordable, and sustainable food. 1. Make a real meal. It doesn’t actually take that much longer to put a “real” meal on the table, rather than some concoction that’s frozen, over-processed, and not even particularly tasty. Need recipes for quick and easy suppers? Here you go. 2. Host a potluck supper. Like the idea of real food but hate to cook? Invite friends and family over for a potluck. Someone else can bring the appetizers, main dish, side dish and dessert. You supply the atmosphere, the location, and the drinks. Easy peasy! 3. Eat at a restaurant that offers local, organic food. More and more restaurants and fast food chains are choosing quality as well as convenience, by sourcing their ingredients from local farmers who have committed to growing their food sustainably. Here’s a list of some of the best. 4. Shop at a farmer’s market. Is there any better place to find locally grown, organic food? Plus, when you shop at a farmers market you’re putting money back into your local economy and helping to protect land from urban sprawl. 5. Join a CSA. Community Supported Agriculture (CSA) enables you to buy a share in the food a farmer produces. You’ll enjoy an abundance of fruits and vegetables you love, but probably be introduced to some delicious new varieties, as well. Kohlrabi, anyone? 6. Go meatless for a day, a week, or…? Some people don’t like the idea of “becoming” vegetarian, but what about going meatless one day a week? 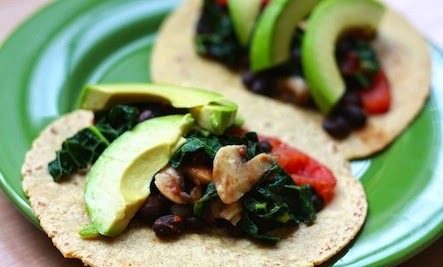 Here are some delicious vegetarian recipes that will give meatless new meaning. 7. Convene a community forum. You can make big changes happen by involving friends, neighbors, elected officials and policy makers in the conversation. You’ll find ideas here to help you get a community forum off the ground. 8. Watch a movie. Check out the Food Day organization’s Film Screening Guide. You’ll find reviews of compelling films about food and agriculture, plus suggestions on how to organize a film screening for friends, neighbors, elected officials and policy makers. 9. Eat everything in your refrigerator. According to the U.S. Department of Agriculture, consumers waste almost 30% of the food they buy. How? It gets “lost” in a cupboard. No one remembers to eat the leftovers and they rot. We simply buy too much. On Food Day, take stock of the food you already have. Eat what’s there before you buy more. If you’re putting food in the freezer, label it and date it so you know what it is and when you put it away. 10. Tell 5 friends about Food Day. The success of Food Day lies in people participating in it. Tell your friends and neighbors about it, and mention it on your social networks. Post pictures of the meals you make on Pinterest and Instagram, and share recipes on Facebook and Twitter. Make Food Day so much fun this year that you can’t wait until October 24 rolls around again next year.